Once we're done porting everything to 1.11 porting to 1.12 will begin! Loved the original and continue to love this version. I have one question though; what is the new growthcraft salt? The salt currently is Rock Salt that you get from mining Rock Salt Ore found in hilly/mountainous areas. There are plans to introduce Sea Salt as well, but we're still discussing how we want to implement it. Thanks! Right now rock salt is used to make Rock Salt blocks and salt in general is used in the cheese making process. I noticed (at least on the 1.7.10 version) that the fish trap default configs are wrong. They preferentially catch diamonds and other rare stuff—left overnight, four traps caught over a stack of diamonds, and half a stack of iron ingots. No fish. The weight values in entries.json seem to be correct, because "raw fish" has the highest weighting by far. I wish you could deactivate individual modules altogether like you used to be able to, but in the meantime I'm dialing back those weightings and using Minetweaker to disable the recipe. I had to disable the fish trap on my server because you can preload each space in the fishtrap with a single diamond and the fish trap will increment the diamond stack size since there's no room for other items. I changed the trap config to only catch sticks for the time being. The game mechanics of the fishtrap need some serious thought. Here's a few ideas to nerf this craziness. Do not allow the trap to be preloaded by hand. Rare item's(or maybe any item) stacksize can not be greater than 1. Disable automatic extraction with hoppers and/or pipes. Of course fix the weights as the OP suggested. This has been fixed with Growthcraft 3 (MC 1.11.2). The newer version actually uses the fishing loot table. I do not see use fixing the GC 2.7 version. You're right. I'm still using the 1.7.10 version. Thanks for letting me know. is a good mod would be a 1.12.2 update and a compatibility with embers and immersive engineering in terms of the pipes, the fermentor and the bottling. We are currently porting to 1.11.2. After the release of Growthcraft 3.0.1 we will be implementing handlers and capabilities, which will automatically make Growthcraft compatible with Embers and IE. 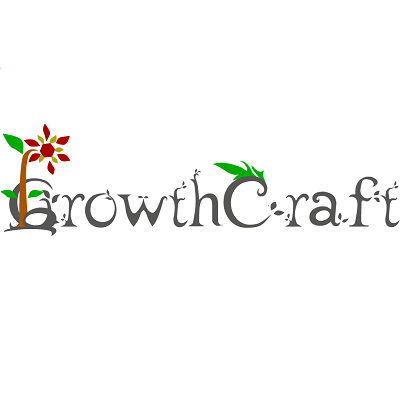 Once Growthcraft 3 for MC 1.11.2 is stable, then we'll port over to 1.12+. Good to see that this mod is not dead! I know this is an annoying question but will you update to 1.12.2 ? Do you have any idea as to the possibility of the CompatLayer mod allowing us to use the 1.11 version of this mod on 1.10.2 ? Dayum, you guys sure have been hard at work since the last time I was here! Keep it up!